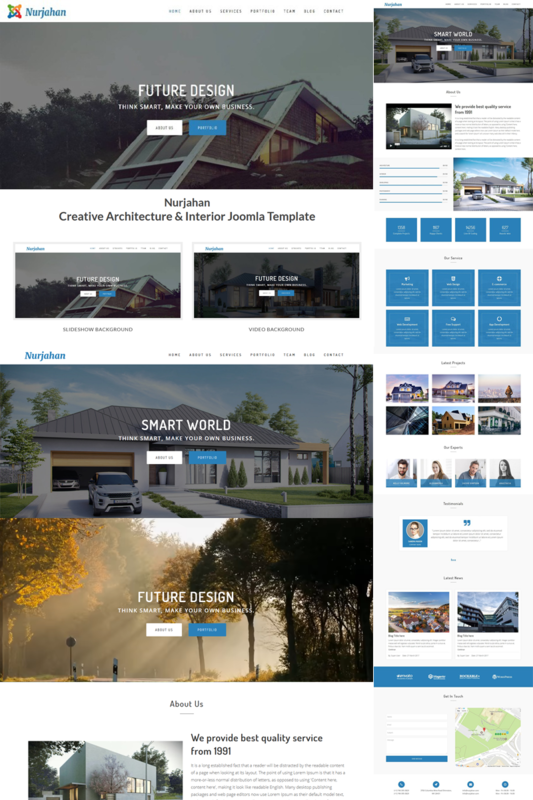 Nurjahan - Creative Architecture & Interior Joomla Template suitable for modern businesses. It is 100% responsive and looks stunning on all types of screens and devices. Well organized and very easy to customize, You can be use it for a lot of websites, like architecture bureau, interior design, constructions, photographers and other corporate or creative websites.